Ibiza architecture is many things to many people. 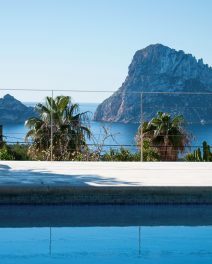 One person may conjure up images of rustic fincas surrounded by farmland; another dreams of sleek and chic modern villas while yet another thinks of the white-washed walls and terracotta rooftops of Ibiza’s old town. 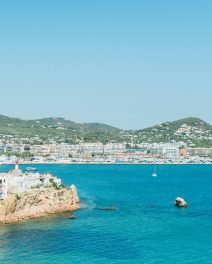 Here is our definitive list of the top ten sought after architectural styles of Ibiza. AKA, the traditional Ibicencan farmhouse. The rustic finca is one of those dreamlike properties where history is etched into the dry stone walls, white washed wells, Sabina wood ceiling beams domed bread ovens and massive thick walls, surrounded by ancient olive trees. Martini anyone? Shaken or stirred? Think sleek lines and views across Ibiza’s yachting harbour. This style is for those with a super modern jet setting lifestyle – think early adapters, movers and shakers. With a nod to tradition, these contemporary villas combine all that is good about local architecture with the latest technology and design. In keeping with their surrounds through classic white washed walls they feature free flowing open spaces, a modern take on stone work and lush lawns. Cobblestone streets and pirate ramparts create a super romantic ambience in Ibiza’s UNESCO World Heritage Listed Site, Dalt Vila. These gorgeous apartments in the heart of the old town hide their surprising spaciousness behind winding lanes and Roman mythology. Impeccably renovated to modern standards with a soul firmly set in the past. 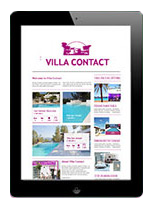 Open, bright and liberated from the architectural baggage that weighs down other kinds of homes the minimalist Ibiza villa encompasses style beyond fashion and a singular aesthetic. Clean, sleek and taking full advantage of the natural beauty of the island these homes are a meditation manifested in a house. A winding and bumpy camino will inevitably lead to this bucolic cottage topped by a puffing chimney. The address will include mentions of painted stones (‘turn left at the blue rock’) and hidden turns and the overall ambience will be like a big warm embrace. 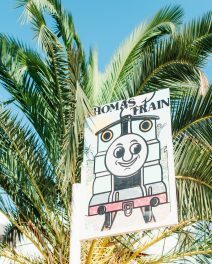 Ibiza has a long history as a spiritual centre. The spiritual home is one that is steeped in this deep knowledge of a higher force and its concentrated presence on the island. Harmony is the predominant design factor and these homes feature plenty of space to practice yoga and meditate. The people that you know in your neighbourhood are the ones that will be there when things go wrong and when things need celebrating. The village home is resplendent with visitors and love. Neighbours are the keepers of spare keys, the providers of tea, the minders of pets and the fount of all gossip. Rumours abound about villas with secret tunnels to underground boat ramps and private nightclubs buried deep in rocky vaults. Well, some of these rumours are actually true and those who like to entertain at home will definitely consider a nightclub, private golf course and exclusive yacht access a must-have. These homes encompass all that is cool about the island. Without forgoing on the chic style and tech advances, the eco-house features a pristine natural swimming pool and the ability to live totally off grid.